If you're one to easily be swayed by persuasive skin care products, you're not alone. I've embarrassingly walked into stores with the full intention of "just looking around", only to leave with ungodly expensive amounts of skin products that employees SWEAR will do wonders for my skin. I'll admit it- I love the feeling of freshness. The good news, though, is that the feeling of refreshed, clean skin no longer has to come at a high cost (emotionally or financially). Garnier's rose mist spray is a godsend. With 99% naturally derived ingredients, it leaves my skin feeling just as radiant after I've taken off my makeup (or even WITH my makeup, with a quick douse as I'm walking out of the house) as any high-end product would. As someone who likes to save time, I was thrilled by the idea of any effective skin hydration that would take me less than 5 seconds. I no longer have to stand in front of a mirror in the morning applying three different moisturizers- this spray is all it takes for my skin to feel refreshed. The changing of the seasons can't scare me anymore, because this time, I'll have this handy product to combat the cold air that ALWAYS dries my skin more than necessary (thanks, Winter). 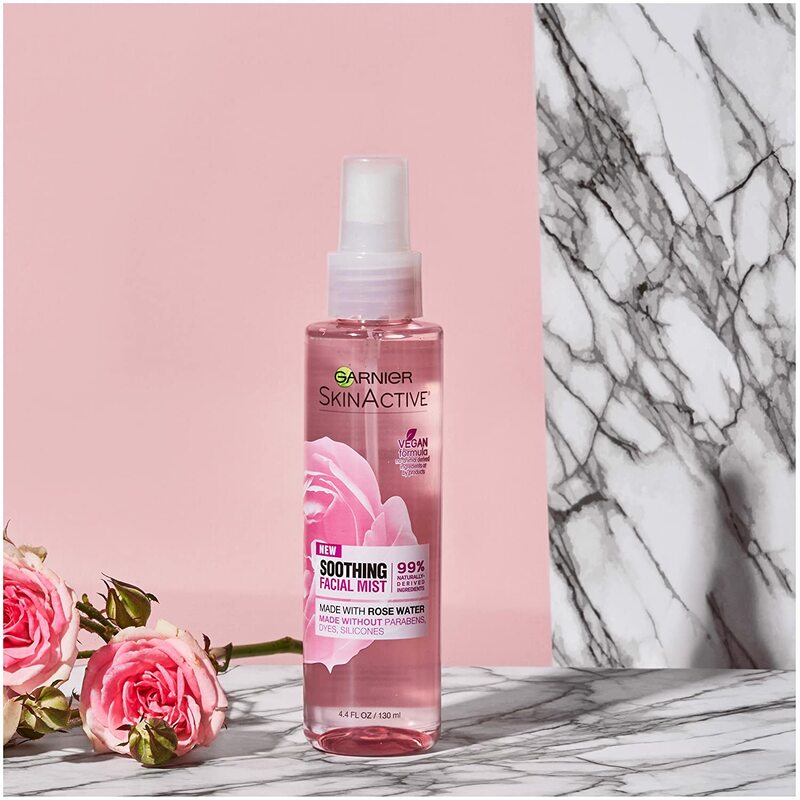 If you're into things that are low maintenance, instantly leave you feeling fresh and smell absolutely AMAZING, hit up this rose mist spray. It's that easy. Say goodbye to the spending guilt- you're in for a treat. Thanks, Garnier!